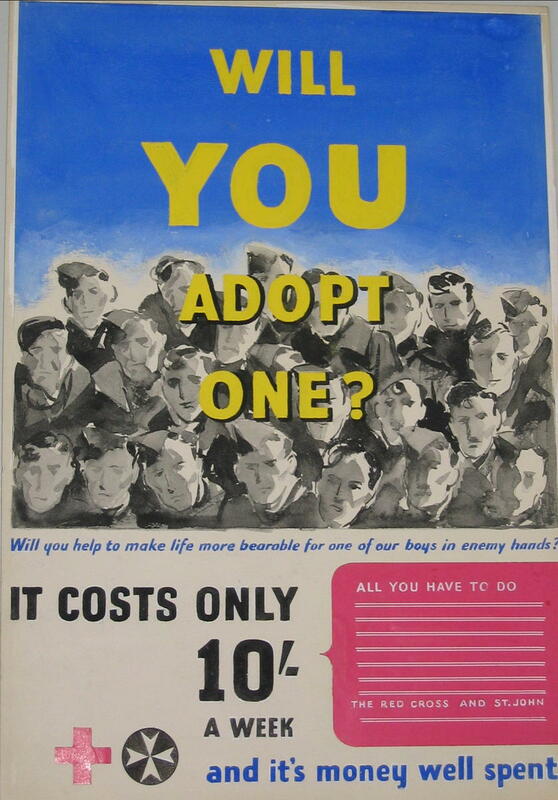 colour proof: Will you adopt one? Will you help to make life more bearable for one of our boys in enemy hands? It costs only 10s a week and it's money well spent. All you have to do [space left blank] The Red Cross and St John.